Both Napoleon and Hitler wanted wanted a United Europe, and these may not be the social engineers that we choose to align with. The causes of how the post WW2 EU project arose and its various iterations are complex and themselves surrounded in mystery. In the Alternate Media we learn the EU was initially a CIA project, no doubt as a bulwark against the USSR, and simpler to deal with than multiple, fractious post war societies. Or we hear it stated that it is one of the first steps towards the much desired (by some) New World Order, along with the other “post War monstrosity’ the UN. And, however it arose, we learn from these same sources, that the EU is totally undemocratic, and run by shady groups of paedophiles. A little research can indeed demonstrate that the EU is largely unaccountable to its population and indeed shows signs - in places - of deep corruption. Anyone living in Greece can affirm that local democracy counts for very little in EU powers games. So it should be a no-brainer, that the overwhelming vote for Brexit is a thoroughly good thing, and – the argument continues – is but a baby step to the complete unraveling of this pernicious project. For those whose heart is with Remain, Alternative Media pundits are quick to point out the error of that position. “Get over it”, they say. “Move on” they aver, within two days of the result. “Poor you” they cackle, should you suggest that the Remain side also had some pressing truths to share, and questions that are far from answered. On the side of the Brexitiers, is the wonderfully undefinable shibboleth of Democracy. The snapshot taken in June 23rd 2016, of British sentiment regarding Europe, is Democracy in Action and utterly, morally unassailable. Or so we are told. The People have Spoken. Now, let’s press ahead with the speedy despatch of the damaged and damaging EU experiment. But clearly, it is not that simple. The Vote – has sent shockwaves throughout British polity, and for the first time in the writer’s life (except perhaps the Suez crisis … barely remembered) the whole UK political establishment are at sixes and sevens, in disarray, and – seemingly – without a clue. We voted, but with no prospectus at all for what exactly we were voting for. Because come ‘Hangover Friday’ it became glaringly apparent that the Brexitiers didn’t have a coherent programme of how to move forward. In Boris Johnson’s case it became obvious he’d given it almost no thought at all. They were clueless. So should we simply get over it and move on? Or do we need to take stock and see what may be actually happening. 1. Is the EU a good thing? 2. Has the EU made an irrevocable democratic decision? 3. Is it morally right to ignore the visions and ideals of the young? This question is actually rather important, and it is far from self-evident that the EU is bad in every way. It is hard not to agree with friends in the Alternate Blogoshpere, that Europe is deeply corrupt. But so is America. So is the Middle East. So is South-East Asia. So is Australia. And the reason is the Deep State – a succubus with many names – that has comprehensively stolen the rights of humanity over centuries if not millennia. It is actually quite easy for anyone with Internet access, to establish without question that a) all nation states in the world are corporations quoted on the Stock Market and b) birth certificates required (I expect) in every land (except where undiscovered tribes dwell in Jungle obscurity), are actually dockets rendering seven year olds as tradable salvage. Our birth certificates confirm we are all persons – legally things and not living sovereign people – who also can be traded. A few hours, with the right web sites, demonstrates the veracity of this without question, however uncomfortable it may be to those who would prefer it otherwise. So surely any entity that has emerged from such an utterly corrupted legal system such as the one 20th Century Western Civilisation boasts, is best put swiftly out of its misery? The question that is hardly addressed by the more militant Brexitiers – who often are not from the UK at all, but cheering from the sidelines of distant lands – is what goes in its place? The implicit answer is the nation state. We will return, patriots all, waving our flags, to the inventions of a few centuries ago; we return to countries whose borders were defined by interminable wars, as though those entities are indeed sovereign. It is assumed that parliament, ours, and those in darker recesses of European capitals, are truly free to do as they choose. 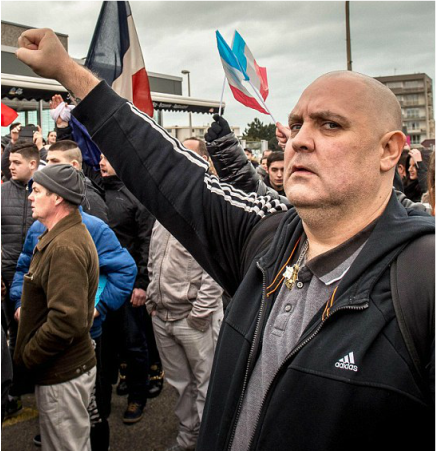 It is not at all self-evident that a revival of patriotism across Europe, with the tendency for that to be hijacked by the Far Right, is a good thing at all. We have loosened the draw strings of the bag of winds - and who knows where the gales unleashed on the 23rd of June will blow our various European ships of state. The EU is rightly criticised for unaccountable power. But this tends to obfuscate what is also easily established, which is that another power structure exists, that is hardly answerable to the people at all. These are the cleverly named ‘Corporations’. Whether we like it or not, we now live world wide in a corporatocracy. And these men (it is mostly men) are not answerable to anyone except their Boards. This octopus-like power structure, with its Financial, Industrial and Military manifestations, has its own agenda. This agenda is never published and never voted upon. The illusion that it is voted upon by Parliament or MEPs is simply that, an illusion. And when a tentacle of this dead creature becomes truly damaged in its brand, it simply morphs, as did Windscale, the deeply unpopular U.K. nuclear facility now known as Sellafield (in 1981). So what were the Brexitiers really voting against? Was it the EU, or was it the Corporate and Financial Shadow Masters behind the EU. We may have voted to leave the one, but like the much quoted Hotel California, there is no leaving the other, as it is protean nature and its ability to control the agenda by controlling the mass media - its PR arm. This octopus of military-industrial power will be just as potent in the UK, whether we are in or out of the EU. And you may be sure, we will never have a referendum about the role of corporations in British life, or the status of the City of London and how that relates to corporations.